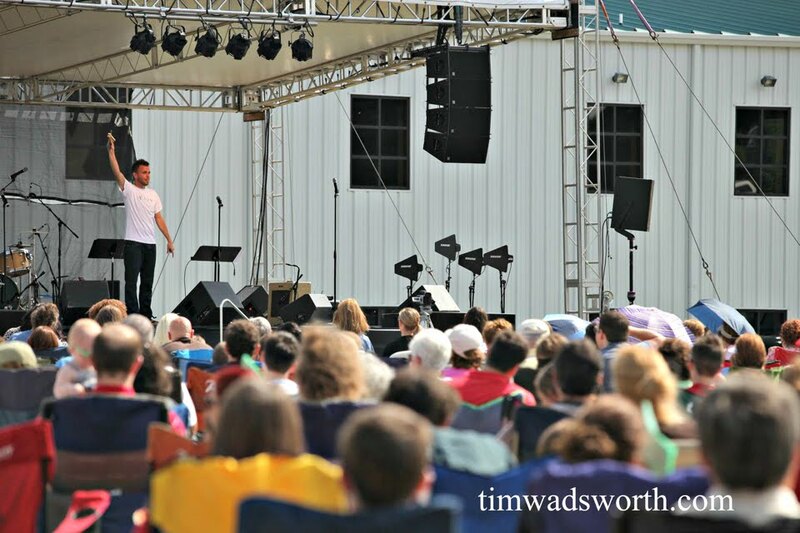 Tim Wadsworth: Are You A Connected Christian? Are You A Connected Christian? Have you ever bought a knock off product or the generic brand of something? They are normally a little cheaper, not just in price, but in quality. Some things you can get by with and other things you just can’t duplicate. Like Oreos. You don’t mess with Oreos!! No one likes a knock-off! They don’t taste right, they don’t look right, and they don’t work right. If you’re going to be a Christian, don’t be a knock-off. When you look at the first Christians in the book of Acts, the one defining characteristic is that they did life together. This means being authentic and genuine. It means being the real deal with other Christians so that we can all help each other follow Christ better. Real Christians are Christians who do life together. We need each other. God created it that way. He created you and me with a desire to be part of something bigger than we can be as individuals. All of us want to belong to something. What groups are you a part of or a member of? Club, Sports Team, Band, Family, Online etc. Ephesians 2:19 (NLT) So now you Gentiles are no longer strangers and foreigners. You are citizens along with all of God’s holy people. You are members of God’s family. We belong to a lot of things. And we can do a lot of good in a bunch of different organizations. But the most important thing we can belong to is God’s family. And the good that you will be able to do in your life for others is directly related to the depth of your connection with other Christians. Effective Christians are connected Christians. Here’s the tragedy: Most of us aren’t connected. Here are 3 reasons why we need to do life together. #1: Doing life together makes it easier to follow Christ. If you are not satisfied with what you are achieving on your own, then you need to find help. Keep doing the same things you are doing and hanging out with the same people you are hanging out with and you’ll keep getting the exact same results in your life that you’re getting right now. So if you’re completely satisfied with your relationship with God and with how connected you are to a community of other Christians than don’t change a thing! But I’m convinced that probably 99% of you aren’t satisfied. You want your relationship with God to be better. You want more Christian friends that will help and encourage you. You want to be connected. Because following Christ is hard, but everything is easier when we do it together. Ecclesiastes 4:9-10 - Two people can accomplish more than twice as much as one; they get a better return for their labor. If one person falls, the other can reach out and help. But people who are alone when they fall are in real trouble. Here's a helpful illustration - When a young tree is planted it is at risk of being whipped about by the wind. If the sapling is tied to a single stake and pulled in one direction, it will grow up leaning hard to that side. It will be uprooted by a storm or grow crooked. That’s why it’s important to stake a tree from multiple directions. The tension on three different sides helps a tree grow straight and true. Its roots will deepen, its trunk will strengthen, and it will bear much fruit. With the right support, a tree will grow to be a glorious thing. Trees and humans aren’t so different from each other. Trying to follow Christ on your own is hard. You’re going to end up going the wrong direction, you won’t be strong, and eventually you’ll fail. Not just that, but if the only spiritual advice and encouragement you get is from your youth pastor or from your parents, you will be like that tree tied down to one stake. The more people that you have in your life that love God and are seeking after Him, the easier it will be to love God and seek after Him. It doesn’t mean you won’t ever mess up and fall again. But having people around you when you fall makes it easier to get up. Wise choices are the result of spending time with God and with people who are following after Him. Romans 1:12 (NCV) - I mean that I want us to help each other with the faith we have. Your faith will help me, and my faith will help you. Growing in your faith is a lot easier when you have help. Are you struggling in growing in your faith? Let me ask you a question. How committed have you been this past year to being in church every week and how much time every day do you spend around really strong Christian friends? Everything is easier when we do it together. #2: Doing life together helps us to love like Christ. When I was a kid, I remember the very first time I tried to jump off the high dive. I was terrified. After standing on the edge for like 30 seconds I finally turned around and climbed back down the ladder. It took what seemed like an hour to come back down. My dad came over and told me to go back up and the only way you’re coming down is by jumping, if I have to come up and make sure than I’ll do that. So I went back up the ladder, and I thought, there’s no way he’s coming up and making me jump. What’s he going to do, throw me off in front of all these people? I got to end of the board and froze. I turned around to climb back down and standing on the board behind me was my dad. He was actually going to throw me off this thing! My dad bent down, looked me in the eye, and said, “It's okay I've done this before. 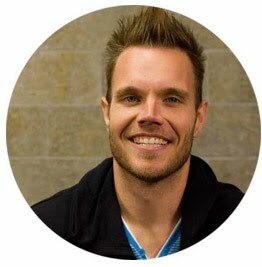 Just close your eyes and run.” So I did… Some of us are having trouble taking a leap of faith for God. We need someone to be right beside us to encourage us and help us move ahead. If it wasn’t for my dad I wouldn’t have jumped! When we start to put this into practice and start to love one another more, we begin to love the world more. We start to have the same message and people will see the message being lived out in our lives. This message is the love of Christ. When we are one group with the same message, people will hear our message better. This verse says we should be united. Think about ALIVE Student Ministry. Are we united? Are you united with other believers at your school? Do you have an accountability partner that you are completely united in trust with? When we have the same heart and the same mind we are going to begin to do what Jesus did and love others better. Two people living to out serve each other will never grow apart. We are the body of Christ. If we don’t work together, then the body doesn’t function right. If we are dysfunctional, then who would want to be part of our dysfunction? How would you function without lungs, a heart, or a brain? Not well! You wouldn’t want a body like that. That’s what most people see when they look at the church. They don’t want to be a part of it. 1 Corinthians 1:10 - I appeal to you, brothers, by the name of our Lord Jesus Christ, that all of you agree, and that there be no divisions among you, but that you be united in the same mind and the same judgment. 2 Corinthians 13:11 - Finally, brothers, rejoice. Aim for restoration, comfort one another, agree with one another, live in peace; and the God of love and peace will be with you. In Christ, we all belong to each other. If we start to see ourselves as part of a larger body, then we can see that we need each other, we start putting others before ourselves, and we start to really love like Christ loved. #3 – Doing life together will deepen our love for God. Until you get committed to doing life alongside other Christians and being involved in church every week, your spiritual life is going to be just limping along. The first step away from God is usually a step away from God’s people. You want to love God more? Start hanging out with more people that love God. You want to follow him closely? Start spending more time with people who are following him closely. When you spend time around solid Christ followers who are sold out for God, it will impact you. You will look different and act different. When you spend time with Christian friends and do life together you will begin to be changed and you will love God better. When you’re doing life together with other Christians it’s going to show in your life. People will see a difference. You’ll feel a difference in your walk with God. The litmus test for our love of God is our love for others. The flip side to this, however, is that it works the opposite way too. When you spend a lot of time with friends that aren’t following God and aren’t encouraging you to follow God you will begin to love God less. Proverbs 12:26 - The righteous should choose his friends carefully, for the way of the wicked leads them astray. This is not to say that you shouldn’t ever hang out with people who aren’t Christians. We HAVE to spend time with people to be able to witness to them. But the whole point is, Who are you doing life with? Who are you relying on in your life? Are they helping you be more like Christ and deepen your love for God or are they harming your relationship with Him? God has given us relationships for a reason. When we do life together and rely on other Christians for the strength and support we need, when we have those relationships in the right place in our life, life is so much better. But when we don’t rely on other believers for our encouragement, prayer, and accountability, and we don’t make those relationships central in our life like God wants, all of the sudden life gets really messy. So here’s where we land. 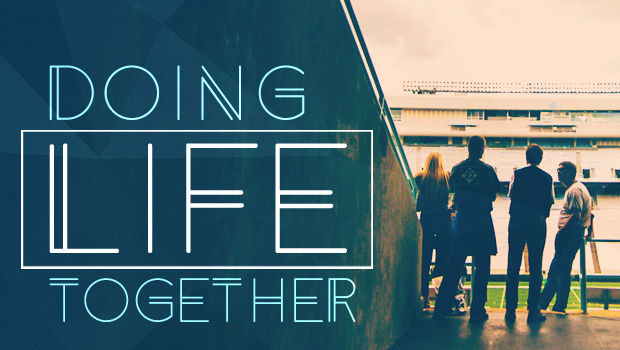 How much are you doing life together with other believers? Are you relying on your Christian friends everyday? Are you praying with friends each day? Is there anyone in your life that you would trust with your sins, that is encouraging you? Who do you need to ask to be accountability partners with? As you think about this, let’s take some time to pray together. In groups of 3 or 4 with people discuss specific ways that you can do life together better. Talk about how to hold each other accountable and then pray for one another.